On March 15, 2011, a record ozone layer loss was observed, with about half of the ozone present over the Arctic having been destroyed. The change was attributed to increasingly cold winters in the Arctic stratosphere at an altitude of approximately 20 km, a change associated with climate change in a relationship that is still under investigation. By March 25, the ozone loss had become the largest compared to that observed in all previous winters with the possibility that it would become an ozone hole. There is also a polar vortex that formed over Antarctica. It is very tight and the reaction occurring on the surface of the cloud crystals is far different from when it occurs in atmosphere. 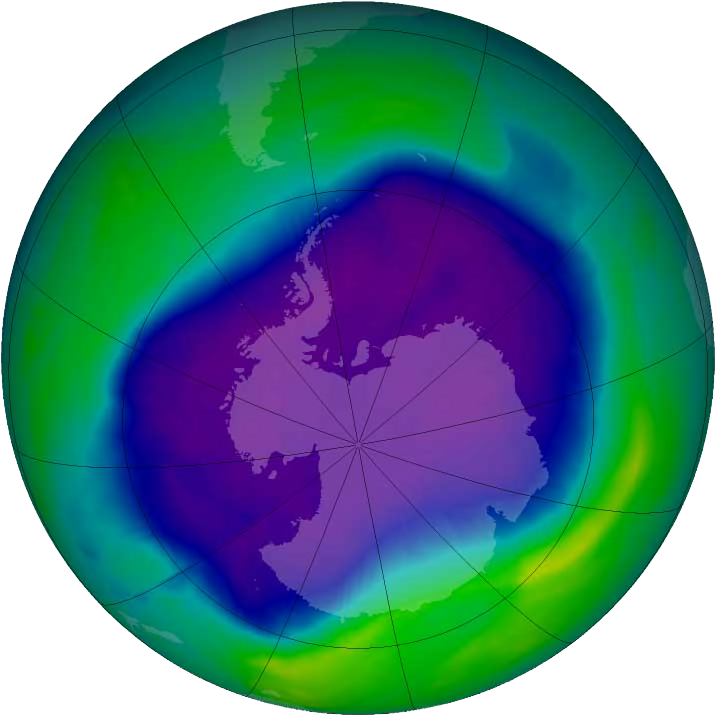 These conditions have led to ozone hole formation in Antarctica.